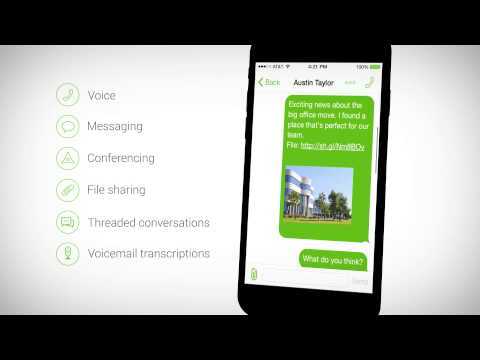 SendHub is a business SMS and voice solution. It is simple to use and includes all the features that modern businesses and organizations need to manage their online business SMS and VoIP communications. SendHub offers a web-based application as well as iOS and Android apps. SendHub offer an easy setup up with no hardware. Everything you need is included in your SendHub application. Every SendHub account comes with 10 digit business line in the area code of your choice. We also allow users to port in their existing lines. I've used this software in multiple organizations because of the ease of use and wonderful customer service. Every time I've contacted customer service, my problem is solved quickly and everyone I've interacted with is incredibly friendly. I've also had a custom account and set up with a dedicated account manager who is reliable, accessible, and supportive. In terms of the software itself, we need something to be able to easily send lots of text messages and this definitely fits the bill. I've had to train many people on how to use SendHub and it's very user-friendly, intuitive, and easy to learn. As a manager, I also enjoy being able to sign in as other users so I can see the text conversations my team is having. The only downside so far has been that Sendhub doesn't yet integrate with our CRM so we miss out on some of those efficiencies. That being said, for our budget, I think SEndhub is a great choice because we are currently unable to allocate a ton of money towards software that might integrate with a CRM but be more expensive. Sendhub feels like an excellent value and we have been able to work around the lack of integration so far. We are a small business that has been using SendHub for years and are very satisfied! Saving time and record keeping. We use the software to communicate w/ tenants by being able to have a recorded log of all text messages sent and received. Technology has significantly changed the way our customer base communicates w/ us and being able to not only text, but have a saved log of all written communication solves multiple problems and greatly saves us time. We use the software to communicate w/ tenants by being able to have a recorded log of all text messages sent and received. Technology has significantly changed the way our customer base communicates w/ us and being able to not only text, but have a saved log of all written communication solves multiple problems and greatly saves us time. Being that we are a small business with a more specialized use it doesn't cater 100% to us, which is understandable. However, we have found ways to work around those hurdles and love it. We use this program to communicate with our parents about upcoming evens and reminders. I love that I can text the whole school or just certain grade levels by setting up groups. Its quick and easy for everyone to use. That I do not have the ability to receive text messages back from people that I send messages to. I would love for them to be able to reply back to me sometimes. Wraps Twilio for us so that we don't have to write that code ourselves; great if you don't have engineers on staff! TCO feels a bit high for what you get, especially when changes need to be made and you don't have engineers on staff and have to rely on pro services instead. I have had a great experience, the functions are very easy to use! Exactly what I needed, to reach my clients quicklyThe user friendly aspect of it. I send up multiple groups and categories and I was easy to do . The way they let you structure the text messages is exactly what I needed. The user friendly aspect of it. I send up multiple groups and categories and I was easy to do . The way they let you structure the text messages is exactly what I needed. SendHub offers a wide range of pricing plans to meet the needs of a variety teams. We offer SMS only plans and custom plans to accommodate all needs and budgets. Please contact us for more information. How does SendHub Messaging compare with other Communications apps? Sendhub is easy to use and very well priced. We use it for text to win registrations. It's difficult to consolidate and collect contacts for future use when a person registers for a certain group. An all-in-one solution for business calls and messaging, SendHub allows modern teams to communicate seamlessly across all devices. Through its cloud-based mobile applications for iOS and Android, SendHub offers features such as SMS, voice calls, file transfers, and conference calling. The solution is able to accommodate a variety of use cases, including text and voice calling, without requiring teams to adopt any new hardware. SendHub was developed for small teams and organizations that wanted professional phone systems without the exorbitant costs associated with traditional business telephone solutions. SendHub boasts superior voice quality, when compared to competing vendors, along with an easy-to-use setup that involves no installation or hardware rentals. SendHub is a calling and messaging solution for businesses that with a mobile focus. Businesses that use SendHub are provided with local or toll-free telephone numbers, which are routed to their employees’ personal cell phones. SendHub also offers a number of advanced communication features, including custom greetings, professional SMS messaging, transcribed voicemails, conference calling, collaboration, and usage analytics. File sharing features make it possible for users to send PDF and Office documents, among many other file types, to their colleagues via text message. As an all-in-one communication solution, SendHub makes it easier for small modern businesses to eliminate their existing, cumbersome landline systems. This benefits businesses by helping them save money and increase efficiencies. SendHub’s mobile focus means that users can run their entire business phone systems through its mobile apps, with all the features of traditional landline solutions and none of the installation headaches or unexpected hardware expenses. Who is SendHub Messaging for? SendHub turns cell phones into business telephone lines, with call routing, custom greetings, and even office hour information provided to callers. Essentially, professionals who use SendHub can put their desktop phones in their pockets, and they can receive calls whether they’re inside or outside the office. Once you’ve downloaded the SendHub mobile app, you can make and receive business calls on a dedicated phone line. Any calls that customers or clients make to your dedicated business number are routed to your smartphone. In the event that you’re unavailable, callers will hear a custom greeting with detailed information about how best to contact your office. Callers will have the option to send a text message, as well. SendHub is all about keeping conversations organized. Using threaded conversations, professionals are better able to stay on top of lengthy discussions, and particularly those that involve multiple parties. When you open up the SendHub app on your smartphone, you’ll see all team communication, including SMS (text), voice calls, files, and conference calls located together in one place. Scroll through threaded conversations before picking up where the last person left off. A single conversation can include multiple forms of communication. With SendHub, you can get multiple people involved on a call. Using the conference calling feature, users can loop in colleagues, clients, and even sales leads when having relevant conversations. Open up a new conference call on the SendHub mobile app and dial in to the provided conference line (with a PIN number). You can invite participants via email or SMS, even if they aren’t using SendHub’s app. SendHub also makes it easy to copy the necessary information for use outside of the application. Contact sharing and unified databases are critical for professional teams that need to share information. Contact databases are accessible from within SendHub’s mobile app, and stored securely in the cloud, which means users don’t have to worry about losing their contacts if they should ever misplace their smartphones. View the contact database for your account by clicking on the Contacts button. You can search for contacts by name or scroll through your list of contacts alphabetically. SendHub also provides you with a way to “star” the contacts you communicate with most frequently. SendHub does not integrate with third-party applications. SendHub offers 14-day free trials on all plans. Starter plans cost $14.99 per month, or $11.99 with annual billing. Business plans cost $24.99 per month, or $19.99 with annual billing. SendHub offers custom pricing for Business SMS. SendHub is an online business sms solution. We offer businesses of all types the ability to communicate via SMS to their customers, on-the-go workers and contact of all kinds. In addition to SMS and MMS we provide voice solutions that enable two-way communication beyond texting as needed all from a centralized business phone line. Below are some frequently asked questions for SendHub Messaging. Q. What type of pricing plans does SendHub Messaging offer? Q. Who are the typical users of SendHub Messaging? Q. What languages does SendHub Messaging support? Q. Does SendHub Messaging support mobile devices? Q. Does SendHub Messaging offer an API? Yes, SendHub Messaging has an API available for use. Q. What other apps does SendHub Messaging integrate with? Q. What level of support does SendHub Messaging offer? Q. Which apps is SendHub Messaging compared to most often?